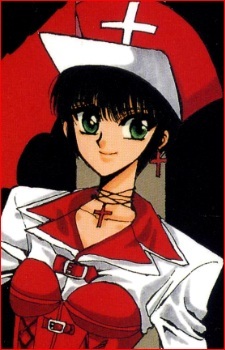 Tokyo Babylon: Hokuto is Subaru's twin sister. She is constantly teasing her brother about his relationship with Seishirou, and always has some crack about a wedding, which Seishirou always joins in on. She has an eye for fashion, and makes the most elaborate costumes. Her name, Hokuto (北斗), is the Japanese name for the constellation Ursa Major, whose brightest seven stars form the Big Dipper (Hokuto shichisei); it complements her brother's name, Subaru being the Japanese name for the Pleiades star cluster (whose brightest stars resemble a smaller version of the Big Dipper).